When people ask you about your job, do you get happy or sad? Do you want to make a change and start a career that you can feel passionate about? Take the first step and attend the Anu Malhi Training Academy which is designed to be creative and forward thinking, and our courses are delivered with the highest standards of teaching and technical excellence. Celebrating hair and makeup application in its purest form. When we first structured the training courses (including Asian Bridal), we wanted to make sure that all students have the opportunity to do a lot of practical sessions during the courses. This is why we’ve made sure that approximately 85% of our courses have practical sessions where the students get to explore and actually create numerous hair and makeup styles. 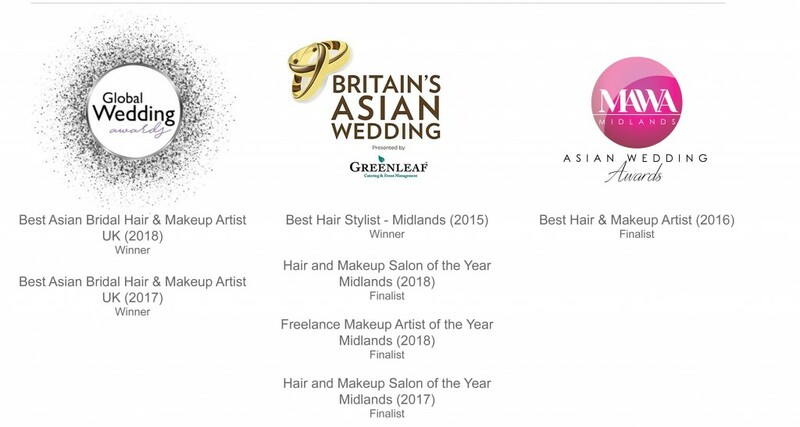 Upon successful completion of an Intensive Hair and Makeup Course you will receive a fully accredited certificate from the Anu Malhi Training Academy and also from the official Guild of Beauty Therapists. Fill out the form below and we'll send through details of our upcoming courses.